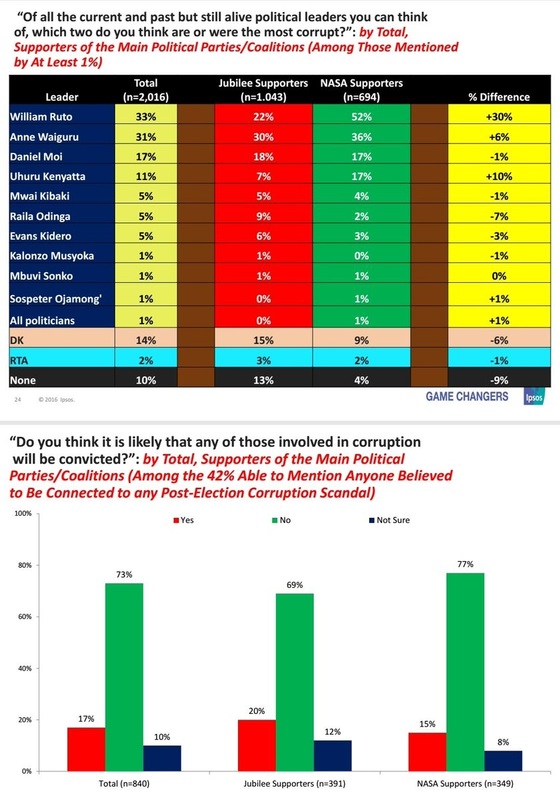 Wednesday August 22, 2018 - A new survey conducted by IPSOS Synovate has found that Deputy President William Ruto and Kirinyaga County Governor, Anne Waiguru, are the most corrupt individuals in Kenya. 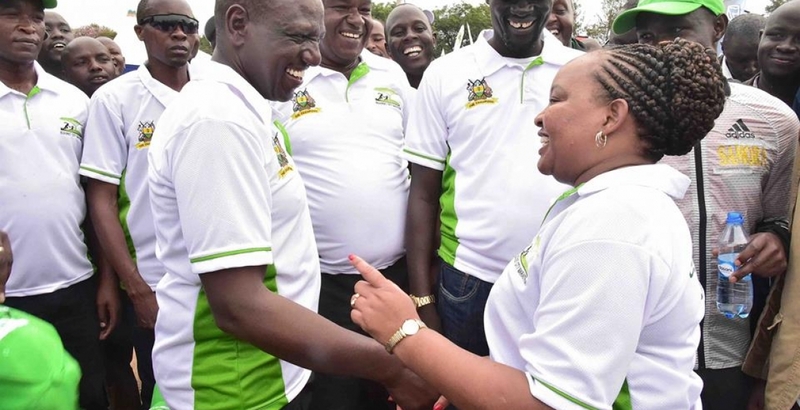 The damning 2018 IPSOS report on graft, released on Wednesday, revealed that Kenyans strongly believe Ruto is the most corrupt leader in the country, followed closely by Anne Waiguru. According to the survey, 33% of Kenyans named Ruto as the most corrupt person they knew, whereas 31% mentioned Waiguru. 32% of Kenyans also appreciated the new efforts being made by President Uhuru Kenyatta in fighting corruption in the country and believe graft is the biggest problem in the country. Ruto and Waiguru have been mentioned in a number of mega graft scandals in the country, among them National Youth Service (NYS), land grabbing, Kenya Power, sugar and maize importation, and will most likely have an impact on the way Kenyans will vote come 2022.